Very few divorce cases go all the way to trial. That’s especially true in the no-fault marriage dissolution era. Typically, the only issues involve child custody and property division. So the vast majority of divorce cases settle during mediation. One of the reasons that mediation is so successful is that the primary issues usually have little or nothing to do with the parties. Parenting time decisions must be in the best interests of the children, and a property division must be a just and right division of the marital estate. A good mediator can keep the parties focused on these divorce issues. There are a number of other short and long-term benefits as well, as outlined below. Emotional courtroom showdowns make great theater in movies and television. After all, these people are actors who go home at the end of the day. But that’s not true in most divorce cases. If the parents have minor children, they must work together for years on pickup and dropoff schedules, among other things. A courtroom showdown is not a very good way to begin a co-parenting relationship. Mediation enhances civility. After a brief opening session, the parties usually withdraw to separate rooms where they entertain settlement offers and counter-offers. There is almost no emotion. Instead, the parties focus on the issues and try to work out their differences. On a related note, mediation is also empowering. Post-divorce disputes are inevitable. If the parties successfully mediated their differences once, they often reason they can do it again. That means fewer trips back to the courthouse for legal modifications. 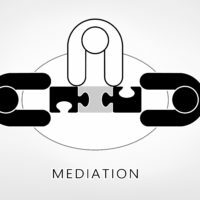 Mediation may reduce future legal expenses in another way as well. There is evidence that mediation improves voluntary compliance. Many people feel that, at trial, a detached judge dictates terms to the family. That’s especially true in Florida, because almost all divorce trials are bench trials. Mediation gives people a sense of control over the outcome. This feeling is especially important if anyone involved has a problem accepting authority. The resulting voluntary compliance means fewer motions to enforce. These matters are usually the most acrimonious and expensive types of post-divorce actions, so it’s a good idea to avoid them if at all possible. Mediation’s cost savings are not just theoretical. The Department of Justice estimates that mediation and other forms of alternative dispute resolution saved litigants over $15 million in 2017. Mediation ends cases earlier than trial, and in marriage dissolution cases, time is literally money. Furthermore, planning for a one-day mediation takes much less time than planning for, and participating in, a two or three-day trial. The cost savings are more than dollars and cents. Divorce is usually an emotionally difficult time for everyone involved. Moreover, instead of spending free time with family and focusing on work at work, divorce is a distracting procedure for most people. Ending it prematurely gives litigants their lives back, and that’s something that has no price tag. Mediation is usually the best way to resolve a divorce case. For a free consultation with an experienced family law attorney in Port St. Lucie, contact Eighmie Law Firm, P.A. Convenient payment plans are available.